Freiburg vs Bayern München was action packed from the first whistle. 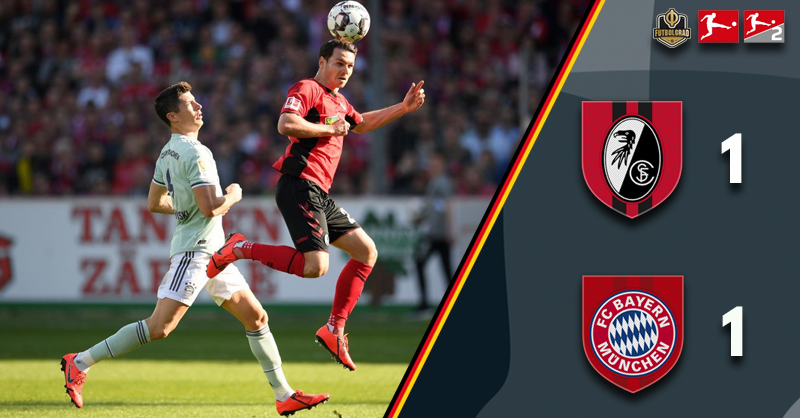 A pulsating game – played out in the picturesque Black Forest – saw a number of chances spurned by both sides after the hosts grabbed a quick opening goal. “Only when you take the ball, can you show you can play football” – Those were the words of Christian Streich prior to kick off. There is no trepidation on the part of the respected coach when it comes to facing Bayern München, and his players showed from the start just how fearless they were of the Rekordmeister. Attacking from the first whistle, the Breisgau-Brasilianer as they are affectionately called, looked to press Bayern as high up the pitch as possible. Not giving the defending champions one minute of peace on the ball. In just three minutes their adventurous styled paid off. Lucas Höler rose highest to meet a Christian Günter cross and the forward steered his header past Sven Ulreich. It was only the Bayern goalkeeper’s third appearance in the Bundesliga this season but crucially, the ninth goal that had been put past him. The visitors enjoyed the lion’s share of possession during a frantic first half and it was their ‘Mr Dependable’ who fired the league leaders level. With his 199th career Bundesliga goal, Robert Lewandowski dragged the champions-elect back into a game that looked beyond them for the opening quarter. Controlling the ball with a deft first touch, he spun on a sixpence to leave Alexander Schwolow with no chance of making a save from six yards. It was a vintage finish from a vintage striker. Freiburg showed no respect for their Bavarian visitors. Streich was animated on the sideline, like an orchestra conductor he gesticulated his thoughts onto the pitch. Their lead was almost restored on 38 minutes – Ulreich down quickly to deny Janik Haberer his second goal of the season. The second half started with the same tempo as the first was played in. Bayern began to test their hosts, Lewandowski had number 200 in his sights and was keeping Schwolow busy at every given opportunity. Streich had never previously lost as a coach when facing a side under the control of Niko Kovač and as the hour mark approached the fixture was poised to go either way. Vincenzo Grifo was in the mood to add to the seven goals he’d been involved in since his loan move back to Freiburg. The midfielder unleashed a shot that just evaded the right post as the game continued to flow from end to end. The opening pace had to be unsustainable for both teams, and it was Freiburg who tired towards the final twenty minutes. Bayern began to control the game – James Rodríguez and Serge Gnabry were denied by Schwolow as the visitors started to dominate. Freiburg remained resolute, and a terrific team performance ensured Bayern were held to a score-draw. Kovac now faces a massive test in seven days timeDortmundmund travel to the Allianz Arena as the Bundesliga’s top side. As Freiburg tired, Bayern took control – but there was one man who remained as strong as he did from the first minute. The Breisgau-Brasilianer goalkeeper pulled off a string of magnificent saves to keep the score level. Gnabry, James, Goretzka and Lewandowski were all denied a second-half goal as the 26-year-old got his angles right time after time. 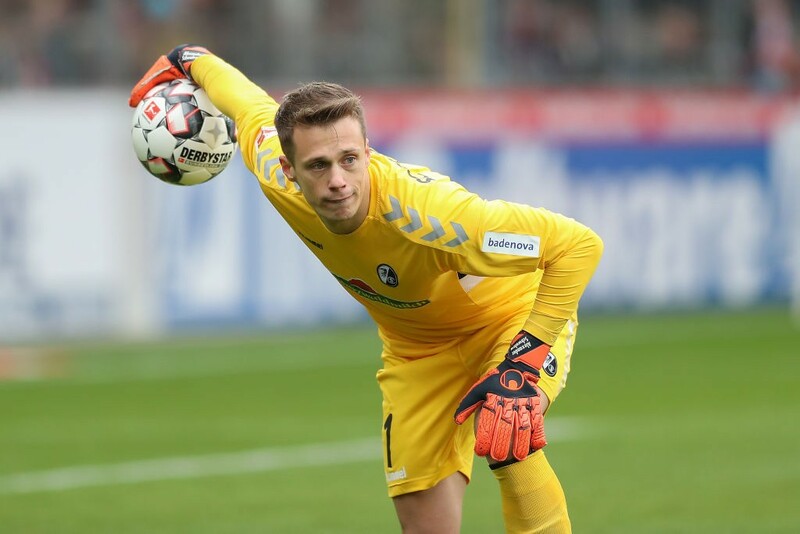 Bayern should have ensured they took all three points in the Black Forest, spurning a number of good opportunities as well as being denied by the wonderful performance of Freiburg ‘keeper – Alexander Schwolow. However, Freiburg’s approached showed that when teams are prepared to pressurise Bayern it can pay dividends. Although the hosts tired midway through the second half, they did create enough dangerous moments during the first 45 minutes to rock the Bavarians. Should Dortmund be afforded the same chances next week it could end very differently for Kovac’s men.